Originally released by Andrew Loog Oldham’s Immediate Records on 24 May 1968 and soon hit the No.1 spot where it stayed for 6 weeks. Critically acclaimed and still featuring in albums-you-must-own-polls, it is by far and away the Small Faces’ best-known and most successful album. Includes ‘Lazy Sunday’, ‘Afterglow’ plus ‘Song Of A Baker’ and live favourite ‘Rollin’ Over’. Newly remastered by Nick Robbins at Soundmastering with the full cooperation of surviving Small Faces member Kenney Jones. Cut at half-speed by Matt Colton at Alchemy Studios to give a better dynamic response, more defined and accurate sound and extended low frequency and smooth high-frequency response. This is the best Ogdens’ has ever sounded! 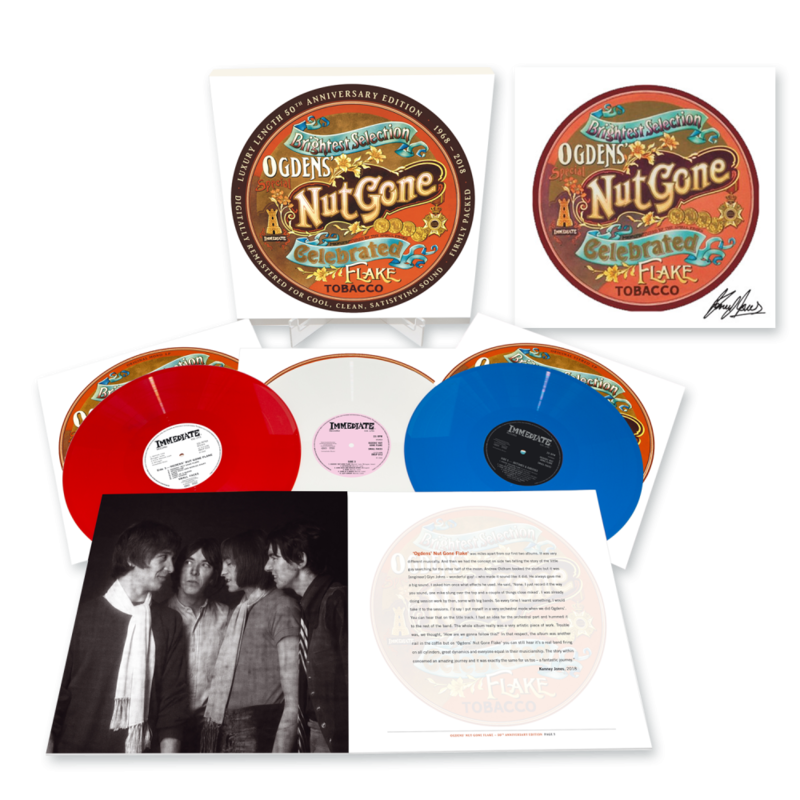 For the first time ever, both mono and stereo versions of the album plus an LP of rare bonus material will be released together on one deluxe, limited edition box set, pressed on 180-gram audiophile red, white and blue vinyl. Deluxe booklet loaded with material, including in-depth sleeve notes by Small Faces authority and Mojo contributor Mark Paytress, interviews, rare photos and memorabilia.